It doesn’t take long for you to realize that step one is only scratching the surface of a massive project. Beyond labeling and organizing the racks, you realize your site needs new safety signs, panels and wires organized, rating plates, and button labels printed. Your small project just went from a simple reorganization to a major overhaul. But, with a single source solution that helps cut time and eliminates waste, the project can become more scalable. Let’s jump back into your facility identification program and see just how many different steps you may need to take. After printing all your labels to identify what products are on each rack, you realize that your site’s safety signs are outdated and peeling off. Now you have to get the appropriate printer to print new labels for these locations. Of course, since you last updated your safety labels, there have been regulation changes and now you have to communicate with the programmer to update the labels on their end before you can print them at your location. Now, you’re at the mercy of their timeline. Since you have to wait for the new safety labels to be designed and programmed, you decide to take a look at organizing your panels. Opening up the panel, you realize you’re going to need multiple different types of labels – wire labels, rating plates, switch and button labels, just to name a few. Then you realize your label printers don’t print switch and button labels. Back to the store for another label printer you go. Now take a step back and look at all the time and money you’ve spent getting the right label printers and working with various different suppliers and programmers. Without a multipurpose printer, every single one of these steps, and any other steps that your specific location may require, will take extra time and effort. In the scenario we just walked through, the process could have been streamlined. Imagine being able to move on from the days of having to switch printers for different label types. Having the ability to handle any label printing requirements from one printer eliminates the need to waste time switching machines and money purchasing new ones for every project. In addition to the obvious savings, purchasing a printer from a one-source supplier eliminates the need to go back and forth with multiple suppliers and programmers. Everything related to the product is handled from either the manufacturer or the distributor – no need to mess around waiting for other companies to fit you into their schedules. Beyond the ability to work with one source for your needs, a printer that has the ability to calibrate on its own and has smart printing capabilities can take your cost savings to the next level. How often have you went to print labels, and the printer wastes half of the label sheet during calibration? Beyond the ability to work with one source for your needs, a printer that has the ability to calibrate on its own and has smart printing capabilities can take your cost savings to the next level. With smart printing technology, the printer and desktop software work together simultaneously. During this communication, the printer auto-calibrates without wasting a single label. Think about how many labels you waste in a year. Smart printing technology eliminates this issue and provides you with a zero-waste solution. The system can then store this information so it sets proper burn settings, sensor alignment, and print speed for the best printing experience. If the facility identification scenario we described sounds all too familiar, it’s time to take your label printing to the next level. Get valuable time and material back from the cost-eating printers of the past and upgrade to zero waste with smart printing technology. It may sound like an upfront investment, but choosing a printer from a one-source provider that handles all your printing needs can provide longer-term benefits. With immediate cost and time savings, you can finish your projects on your terms and within your timeline. Brady offers a full line of printers from handheld to industrial to meet your facility identification needs. As a single-source provider, Brady manufactures and programs their printers in-house, eliminating the need to work with multiple vendors. Their smart printing, reliable and fast printing label printers provide you with material and time saving solutions. The opinions expressed in this piece are solely Brady's. They do not necessarily represent WESCO’s views. 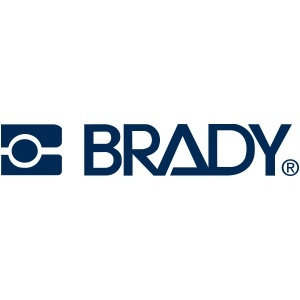 Brady is a manufacturer of complete solutions that identify and protect people, products and places. Brady’s products help customers increase safety, security, productivity and performance and include high-performance labels, signs, safety devices, printing systems and software. The new operating norms of lower oil prices, heightened safety, and environmental awareness create challenges for inefficient oil and gas companies. They also drive the most efficient organizations to constantly improve and repeatedly find new, consistent methods to preserve or increase their profitability, compliance and reputation. A plant turnaround, or shutdown, is a scheduled stoppage of all or part of a plant’s operations. At one point or another, every facility will experience a turnaround for reasons ranging from maintenance, to repair or replacement of capital equipment, safety upgrades, lighting and energy upgrades or even regulatory compliance.